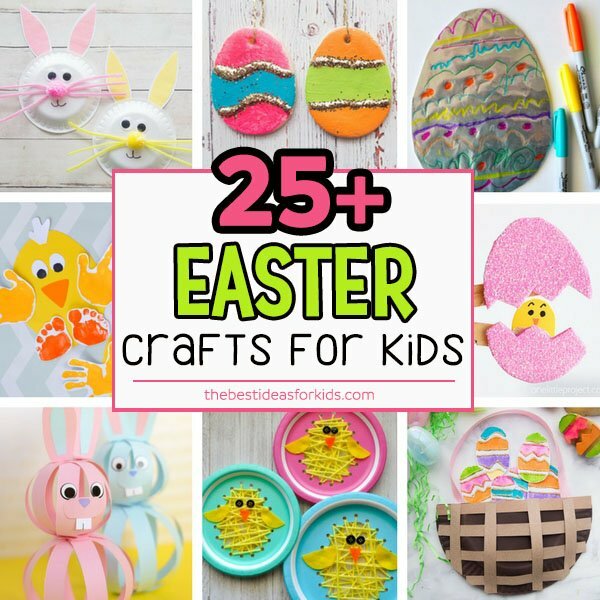 If you love handprint crafts we have the perfect ones for Easter! 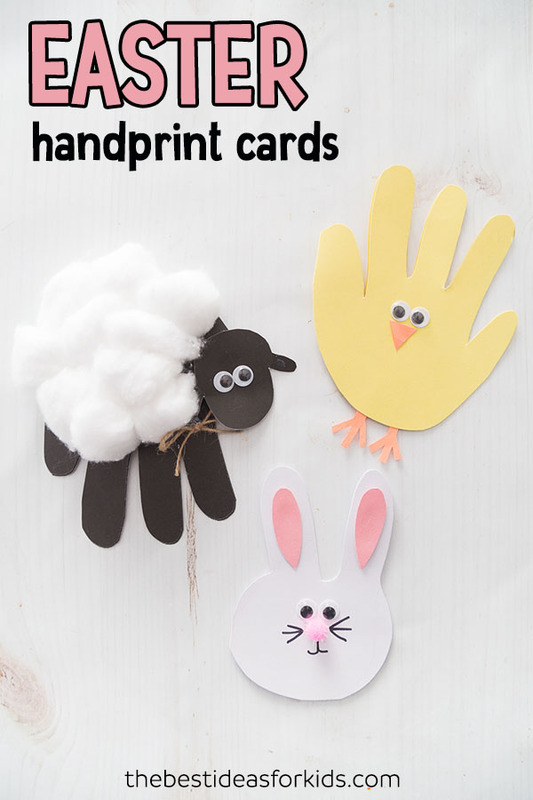 These Easter Handprint Cards are the cutest handmade Easter cards for kids to make. 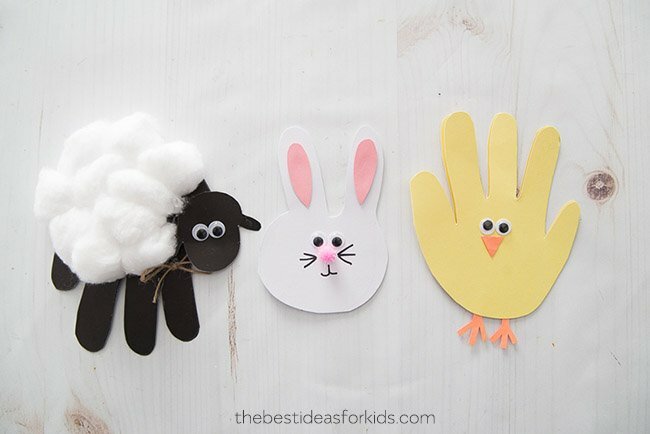 With 3 different designs to choose from, kids will love making their own handprint sheep, handprint chick and handprint bunny! And the best part is they only require a few supplies to make! 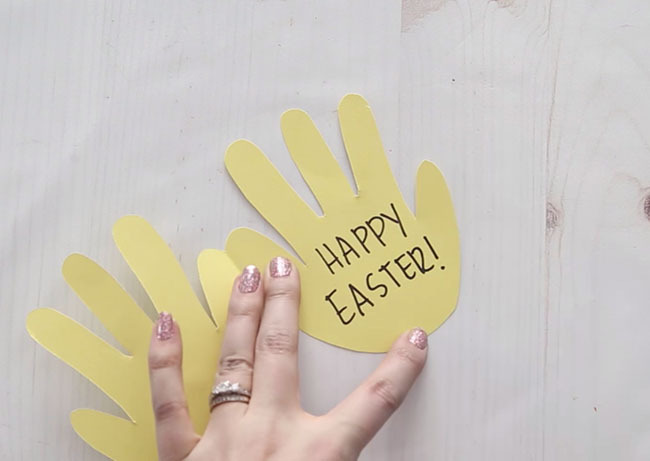 We’ll show you how to make these easy Easter handprint cards. 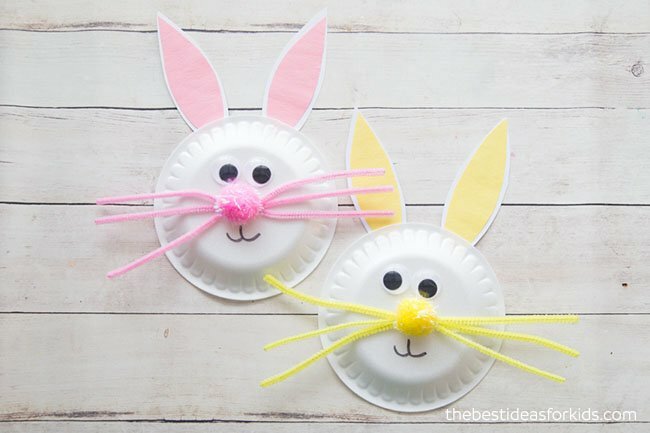 They each open up to become a card so you can write an Easter message inside. Write a special Easter message or simply put “Happy Easter!” inside. 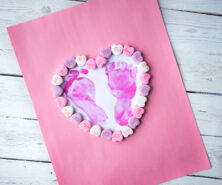 You only need a few supplies to make these and the kids will love getting their hands traced! 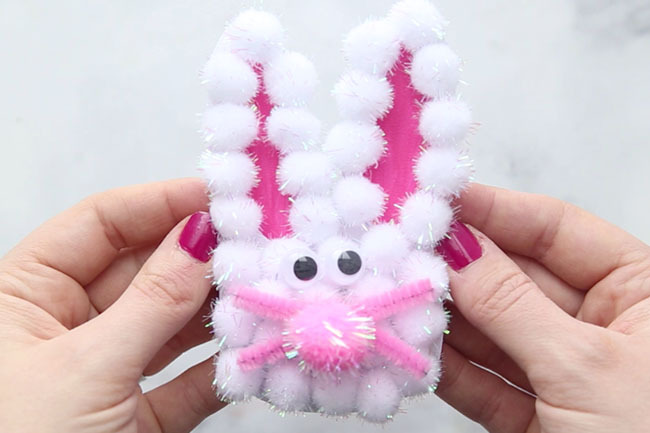 – Extra strong glue – we like this one which is non-toxic and works really well for pom poms. 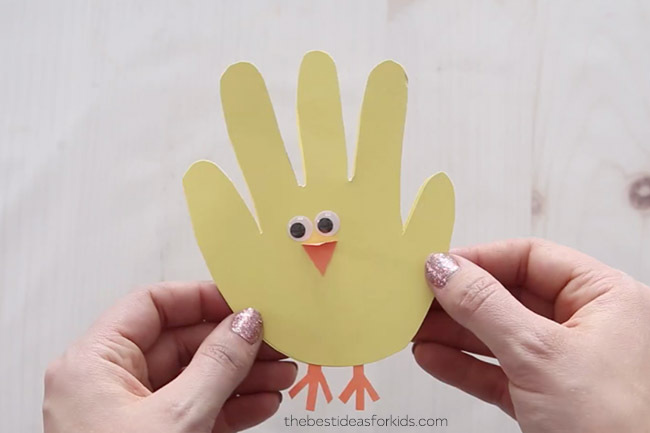 The Easter chick card is so easy to make! 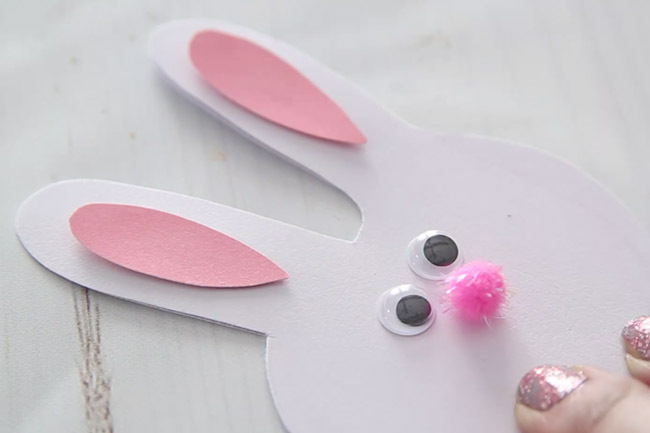 We love that it only requires a few supplies to turn it into a cute Easter chick. 1. First fold over a piece of yellow cardstock. 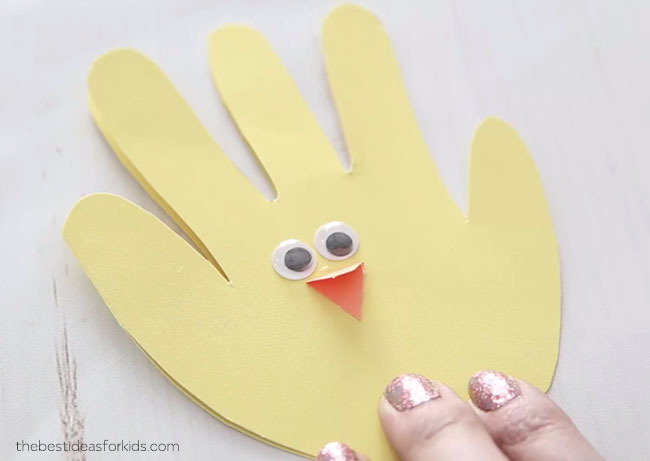 Trace the handprint so that the pinky is on the folded part of the paper and then cut out the handprint. 2. Add googly eyes and a small beak from orange construction paper. To make the beak: fold over a small piece of orange cardstock or construction paper and then cut a triangle out. 3. 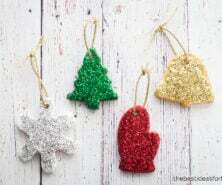 Cut out two feet for the chick from orange construction paper or cardstock and glue to the inside of the front part of the card. 4. Write “Happy Easter” inside the card or another special Easter message. 1. 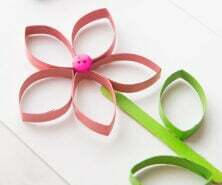 Fold white cardstock over and put the left hand against the folded part (so the folded part is on the left). Put your middle finger and index finger up like a piece sign. Trace around those fingers making it a bit more bubbly so it will look like bunny ears, then trace around the side of the hand making a circle for the face. 2. 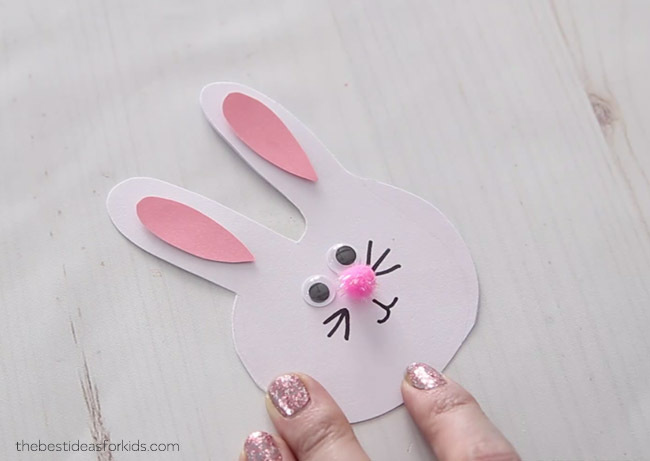 Cut it out so that the bunny face is round like a circle. Leave a bit on the left side for the folded part so the card will open up. 3. Add two small pink cardstock inserts for the ears. Then glue on the googly eyes and pom pom nose. 4. Draw the whiskers and mouth on with a black sharpie. 1. 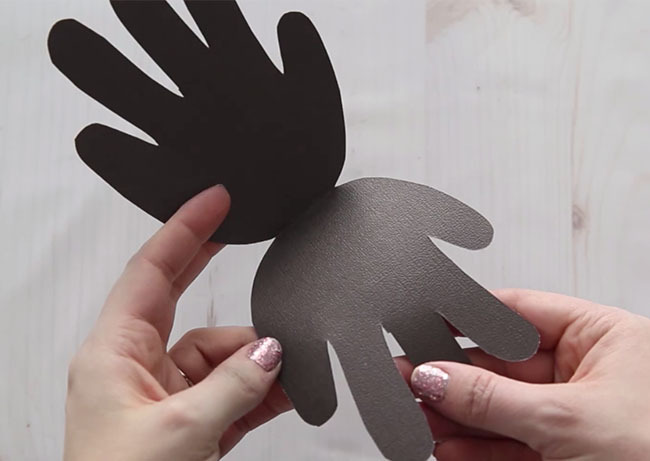 Fold a piece of black cardstock over. Trace the hand so that the wrist is at the folded part. 2. 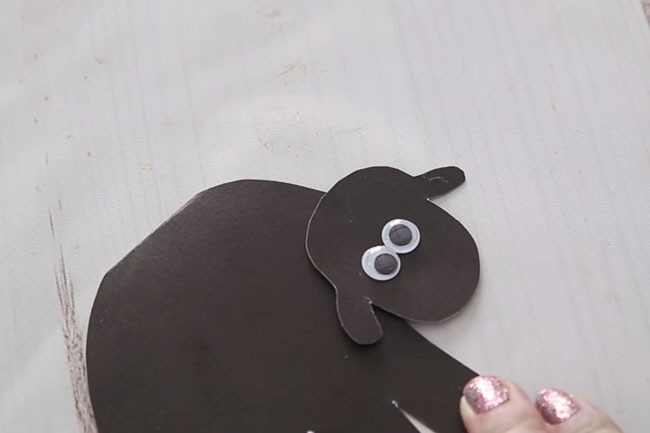 Draw a sheep head and cut it out and glue to the thumb. Make the head rounded with two ears coming down to the sides. 3. 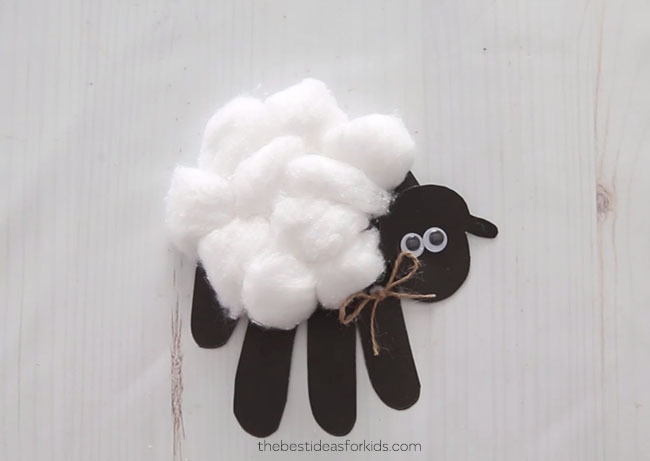 Add cotton balls to the sheep body. 4. Finally, add a small bow made from twine just under the body by the head. 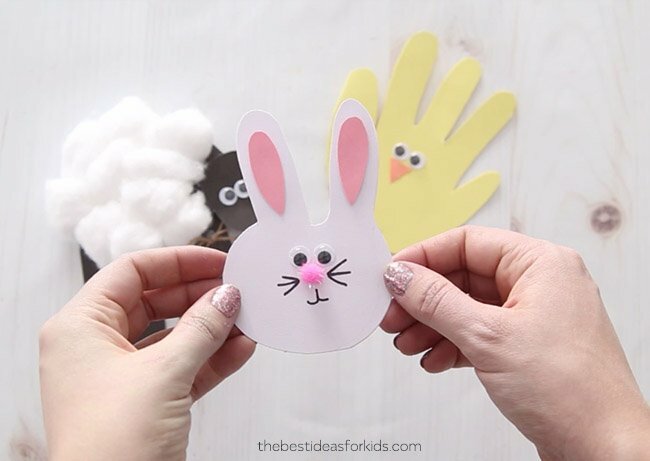 We absolutely love how cute and easy these Easter handprint cards are! Which one is your favorite?